This was no sweaty, hoodie-clad boy genius. Today at TechCrunch Disrupt, Mark Zuckerberg demonstrated he’s a businessman, a mobile product visionary, and most importantly, a leader Facebook’s employees can look up to. Speaking quickly but confidently, he admitted mistakes. But Zuck’s accomplishment today was meeting his biggest questions and criticisms head on. With the smile of a man holding a royal flush, he laid out his vision for the next phase of Facebook’s evolution: a mobile-first product we love to use but that gives advertisers unique ways to reach us through the devices we can’t put down. 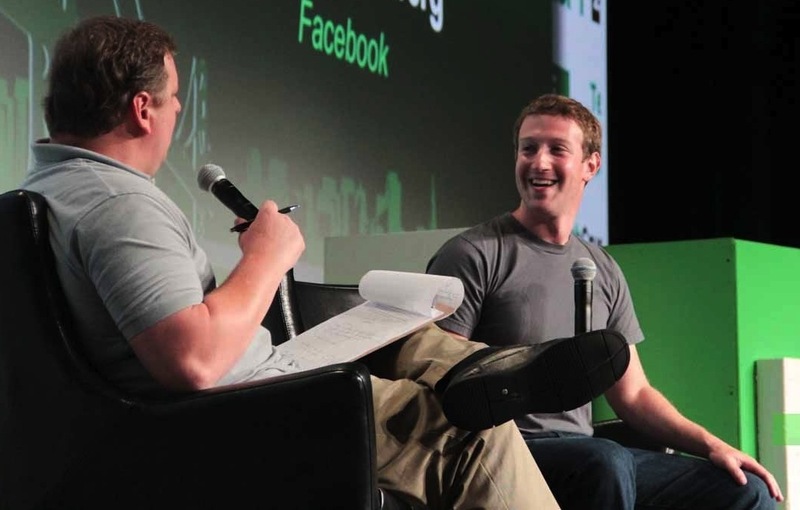 He’s always run Facebook as a long-term company, delaying monetization in favor of the user experience. He espoused that value, noting that this is not the year to judge Facebook by. Instead, the next three to five years are the ones to watch as the company transitions from a web to a mobile advertising company. But it’s on the right track with mobile products now. The latest version of the Facebook for iOS app ditched HTML5 and went all native, which will be its strategy from now on with a similar update for the Android app on the way. Zuck said since the update, iOS users are consuming twice as many mobile news feed stories – that means twice the opportunity to serve ads. It could have been the moment of the talk most responsible for bumping up Facebook’s share price by 3.3 percent in after-hours trading. He drove this home, declaring “on mobile we are going to make a lot more money than on desktop.” That’s bold, but he has to do it without annoying users so much that they leave. What was most reassuring wasn’t necessarily what Zuckerberg said, though, but how he said it. He seemed genuinely optimistic. Not quite stately or tranquil, but composed and mature. Facebook scored a huge war chest from its high-priced IPO, but many feared that the sinking price would crush morale, send veteran employees packing and make it difficult to hire new rock stars. Even if Zuck had come out with smart words, a hesitant demeanor or sense of confusion could have shaken the confidence of his team and potential recruits. Instead, Zuckerberg outlined his strategy with such depth and bravado that the typically fierce interviewer Michael Arrington seemed pressed back on his heels, having to repeatedly ask to “unpack” the Facebook CEO’s statements. He no longer seems to begrudge his duties. Zuckerberg has come to grips with the fact that being CEO of a public company is a public position — that he can’t just be a maker.